If your client doesn’t want any colour whatsoever, consider ARBORCOAT Exterior Waterproofer, a long-term sealant that resists dirt pick-up and provides superior UV protection. To enhance the aesthetic appeal of your clients’ home, even their fencing should be in great condition. From staining to painting to maintaining, your Benjamin Moore Contractor Rep can suggest a range of fence painting ideas, as well as tips for staining and maintaining high quality wood fencing. 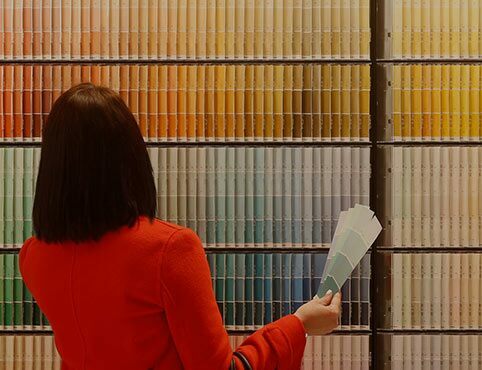 White, gray and green paint colours are homeowner favorites. For raw or bare wood, prime the surface first with Fresh Start® Exterior Wood Primer K094 or Fresh Start® Moorwhite® Exterior Wood Primer K100. If the fence paint is simply faded and doesn’t need primer, start by doing a thorough cleaning. 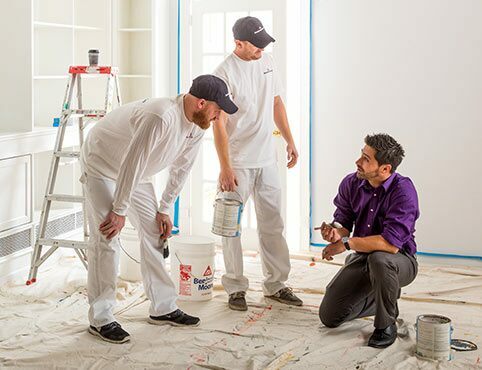 Then apply two coats of high quality exterior paint options like Regal® Select Exterior High Build, which offers superior coverage and fewer coats. If your client prefers the look of the natural wood grain, ARBORCOAT Ultra Flat Solid Stain is great for hiding imperfections on exterior wood surfaces. For more opacities and stain colours for wood fences, see “Decks” above. For bare, raw wood outside, always prime the surface first with Fresh Start® Exterior Wood Primer K094 or Fresh Start® Moorwhite® Exterior Wood Primer K100. With its high-build formula and Colour Lock® technology, premium Aura® Exterior Paint helps exterior paint colours stay true over time and offers superior fade resistance and outstanding durability-perfect for window sills that bear the brunt of weather extremes. Does your client’s front door look like it needs a pick-me-up? 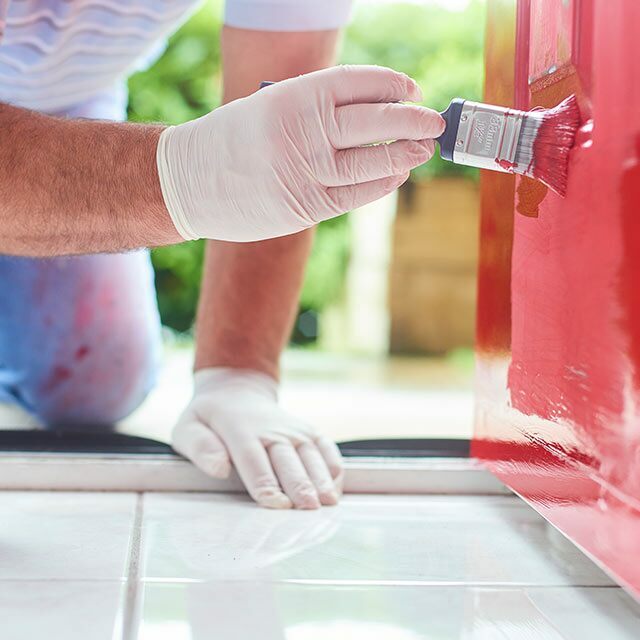 Since repainting a front door is one of the fastest and most satisfying ways to refresh a home’s exterior, it makes for an easy pitch. Brilliant, rich colour accented with updated door hardware help foster a warm welcome—not to mention enhance their home’s curb appeal. Let your client know that you’ll be using a specialty product formulated specifically for front doors: Aura® Grand Entrance® in high gloss or satin provides a rich, lustrous finish, superior colour retention, and fade resistance to stand up against the elements. Insl-x® TuffCrete® Waterborne Acrylic Concrete Stain is designed for application to interior or exterior masonry surfaces and offers great durability. Perfect for sidewalks, courtyards and walkways. Sure Step® Acrylic Anti-Slip Coating provides a durable, skid-resistant finish for interior or exterior application. Imparts excellent colour retention, abrasion resistance, and resistance to ponding water.